If you want to enjoy a fiesta, there is a better way to do it than by actually visiting Brazil. 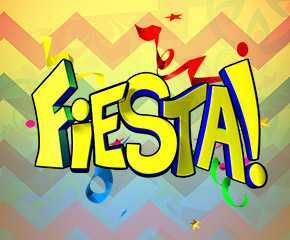 Try playing the Fiesta slot game in which you can play to win cash if you are lucky and take in the colourful festive scenes while you are at it. Fiesta is a slot created by Nektan Gaming, which is a Gibraltar based gaming company. The slot is well designed and plays out very well on mobile, and also gives you a great run for your money while you are playing to win. Fiesta makes you feel like you are at an actual Brazilian carnival that is colourful and bright. There are 5 reels, 3 rows and 15 paylines on which you can try your luck. The game allows you to keep your bets to a minimum and the symbols on the reels are those of the many hued South American masks, a toucan, a marimba and other usual card symbols. You can start spinning by placing a wager on the reels and then see what you can come up with. Wild Substitution: The toucan is the wild in the game and you can use it to complete a payline by appearing as another symbol. This is an animated icon so you can see the bird giving you your winninngs from its beak when you do make a payline. Free spins: The scatter symbol is the tambourine so if you get three of these you can enter the free spin mode in which you get 30 free spins. These are hard to come by so you need to be as patient as you can. Fiesta offers players a way to keep their bets low but their earnings high if you know what you are doing. The game offers an RTP of 96.6% and therefore you will be able to expect some amount of cash if you play for long enough. 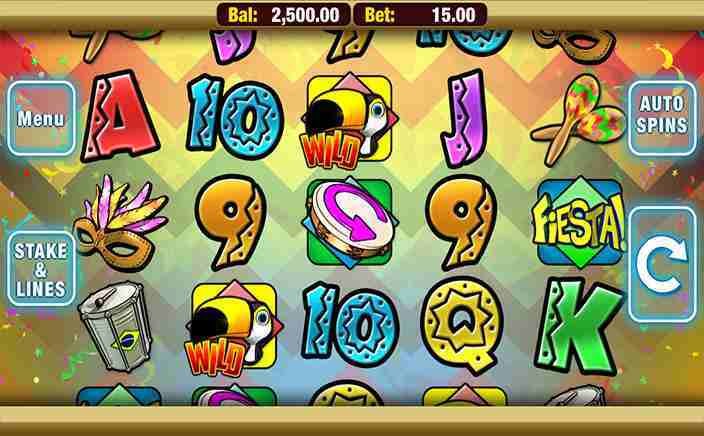 The real draw of this game is the huge jackpot and the bright and colourful festive scenes on the reels. It makes you feel like you are playing in a festive atmosphere, which is bound to put you in a good mood in no time. So the next time you have had to cancel your vacation, perhaps you can head to Brazil through the Fiesta slot instead, and try to spin those reels to make some payouts while you are there!